Twitter login | Sign in to Twitter account now from Laptop and mobile. 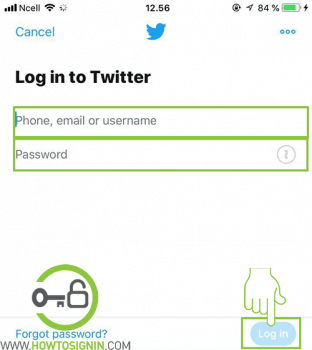 Twitter login permits you to share your memos, views, opinions, pictures, videos, news links and many more. 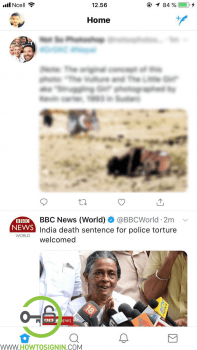 You can share your tweets, follow other users, like and retweet their tweets using any platform such as Twitter.com website, responsive official Twitter App, and other desktop clients. You can also share your tweet with the text message from the registered mobile number in some region. 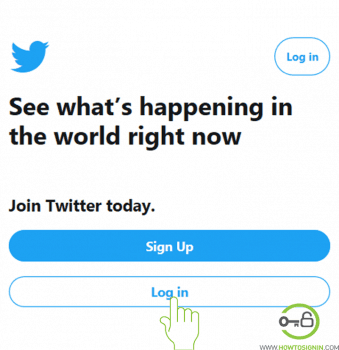 Log in to a Twitter account using the official website, its responsive mobile app available for both iOS and Android platform. Don’t have an account? Create Twitter account. Twitter login from web-browser grants you more flexibility in utilizing all the exciting features of the microblogging site. This Twitter sign-in method is suitable for those users who use Laptop/PC. To access your account using a web browser you can use any browser available in your device. Go to Twitter.com from the web browser you are using. Click on Log In. Twitter keeps changing its homepage design over a period, but the process you follow is same. 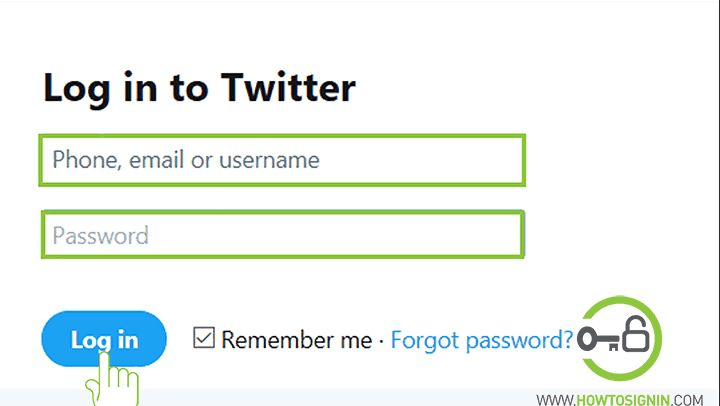 Enter your login credentials in the Twitter sign-in page. You can sign in using the Twitter username, email or the verified phone number. Now you are finally logged in to your Twitter account. You can start creating new tweets, share your views and opinions, share others news links and tweet update, and many more. 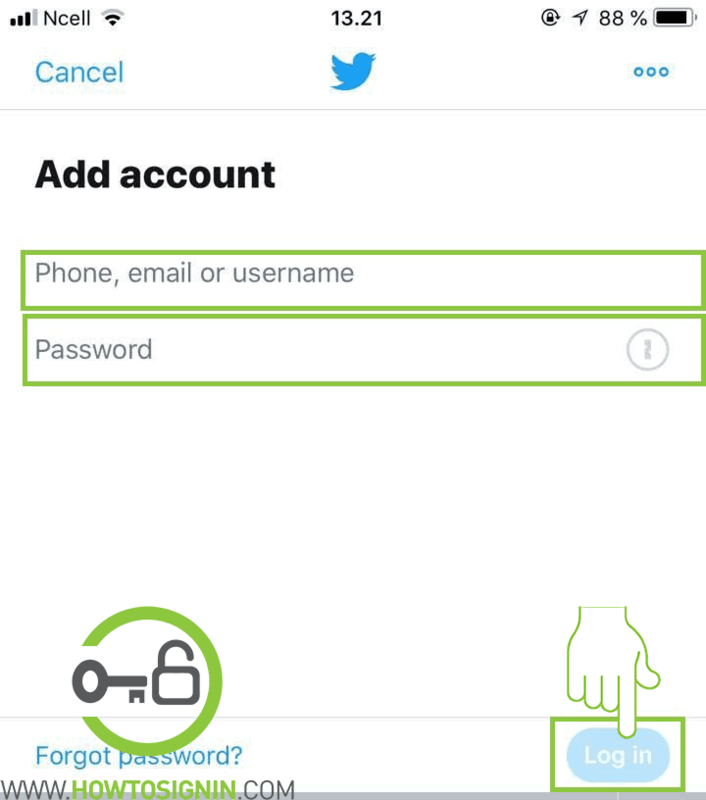 This method is the same for Twitter mobile site login. 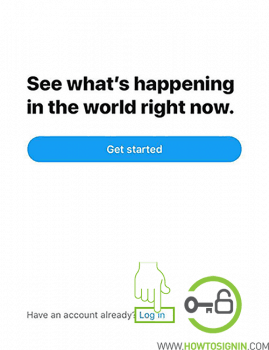 Access your Twitter account on the go. Download the Twitter app from the Google Play Store or Apple App store. Open Twitter App and tap on ‘Log in’. Enter your username, email address or phone number registered with Twitter. 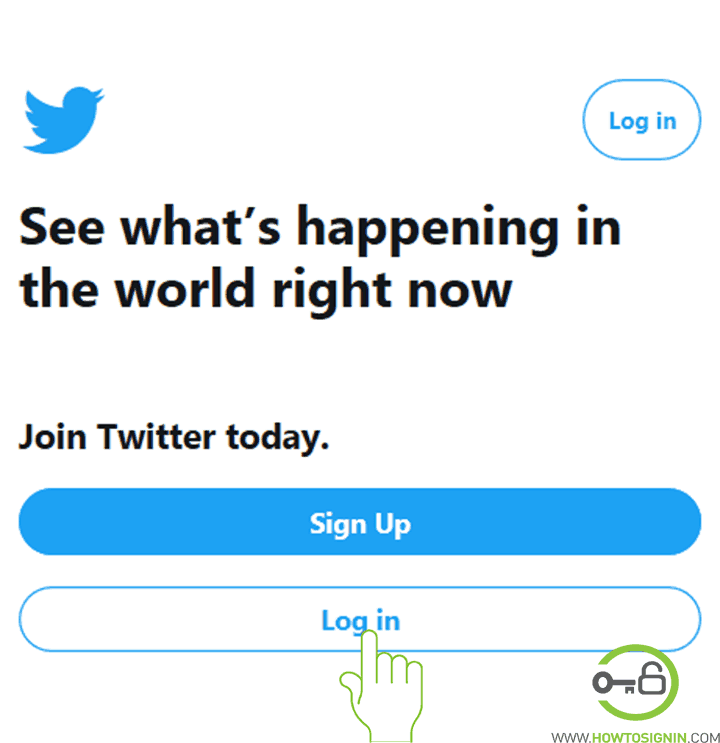 Tap ‘Log in’ and you’ll reach into the Twitter homepage. Now you can Tweet, Retweet, like posts, change settings etc. 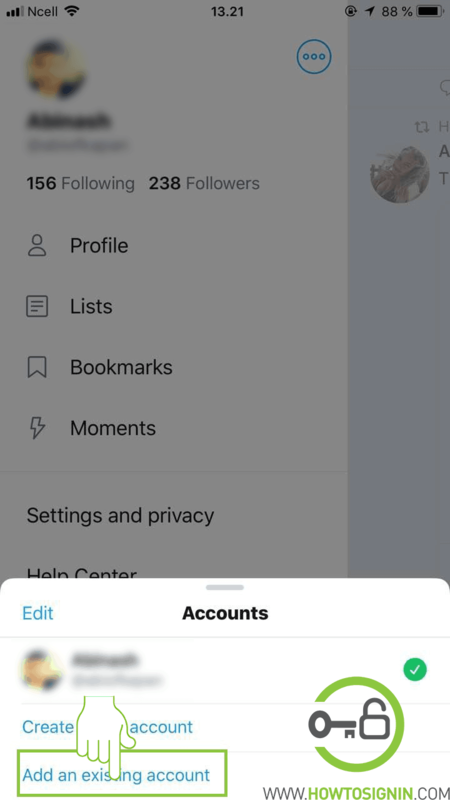 You can log in with multiple accounts in the same Twitter app. Login with new Twitter account now. 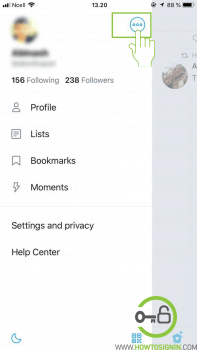 Tap on your profile picture, and a sidebar menu will appear. Select the menu on the right side of your profile picture. It’s three-dot in the circle. 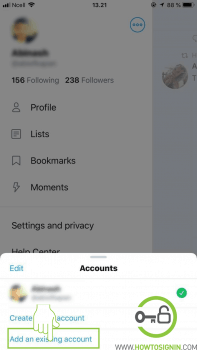 You can either create a new Twitter account or add an existing account. 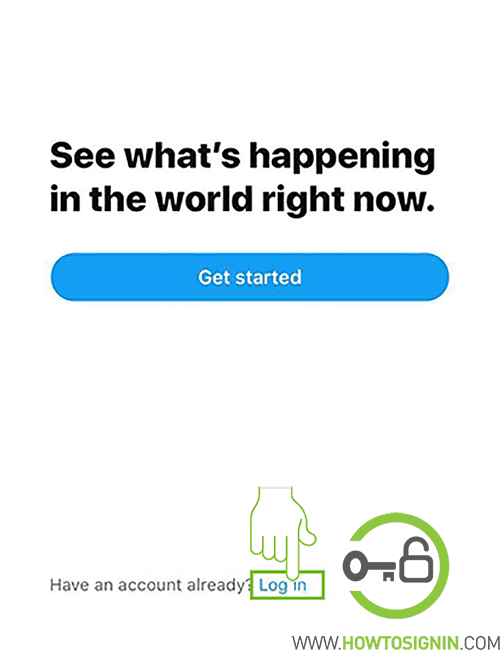 Tap on the suitable option and complete the login process. 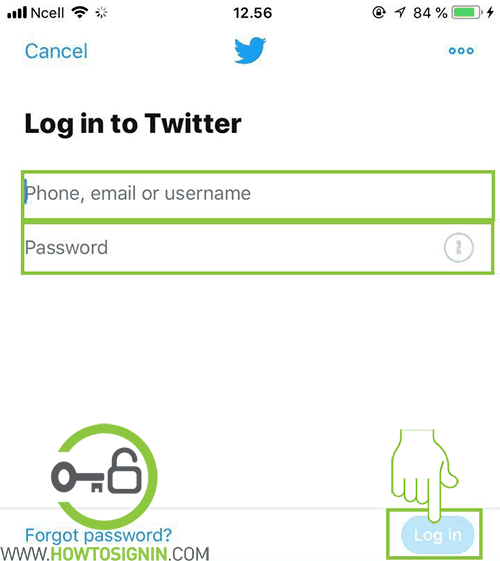 Enter your twitter username or email or your phone number along with the password associated with your twitter account. You are done now. 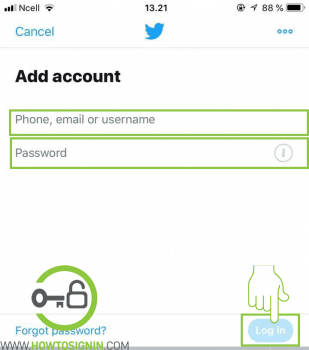 You can choose which account to use for your twitter app and even switch whenever you want.